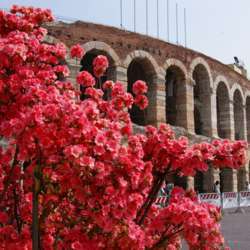 April Verona InterNations - Spring has Sprung! Happy Spring everyone and welcome to all of our new InterNations members! Riva Mancina, located right off the Adige, will be hosting us this month. All drinks are ,50 cents off! There will be some standard stuzzichini nibbles, and there will be food to buy if you need something heartier. Parking is right around the corner near Piazza Isolo, just off Interrato dell’Acqua Morta (follow the signs).